Q. Where can I find a company's research and development (R&D) expenditures? Go to U.S. Securities and Exchange Commission for SEC Filings. Mergent Intellect. After searching for your company, see Annual Reports under the Company Details tab. 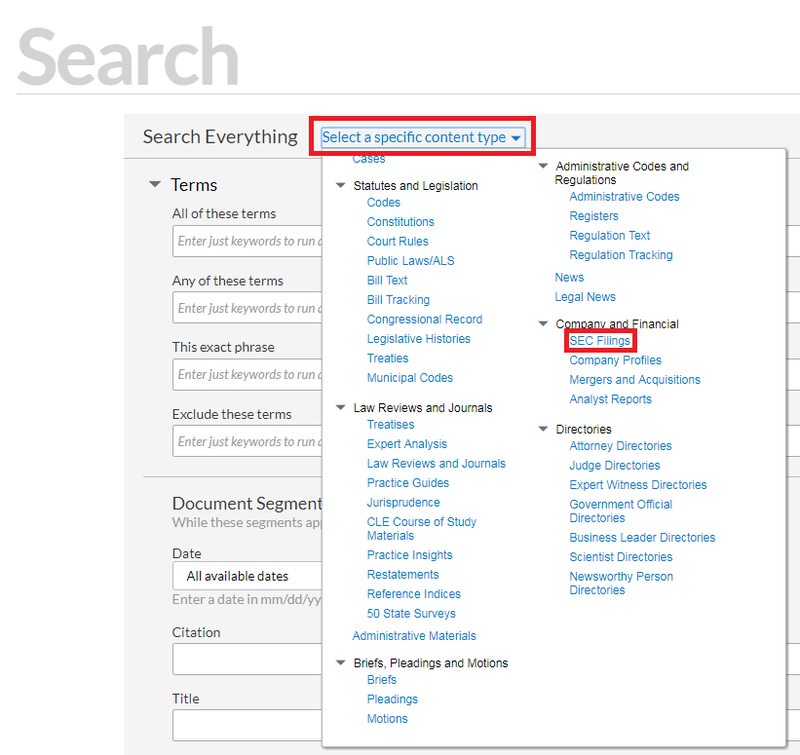 Nexis Uni: Go into advanced search, click 'select a specific content type' and then 'SEC filings' under the 'Company and Financials' heading, then conduct your search.